The owner of Eleanor Nancy. Trained at the London College of Fashion, Ellie has been in the industry for over 10 years, her career has taken her around the world working at 5* spas and for makeup brands such as MAC Cosmetics. Her experience has given her the opportunity to work with celebrities such as lady Gaga. Ellie wanted to create a space women could come and feel comfortable enough to remove their makeup and try something new. She knows how intimidating it is walking up to a beauty counter and asking for advise and worrying about being sold something thats not right for you. Her passion is making people feel great about themselves. Ellie specialises in bridal and event makeup, semi permanent makeup and nails. 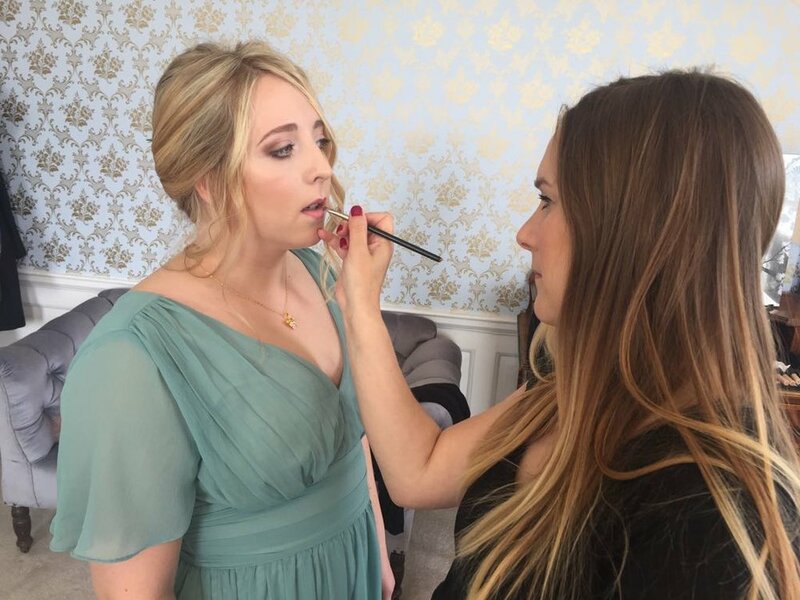 Sarah is a highly experienced makeup artist, after studying at London College of Fashion and managing at MAC cosmetics, she has gained over 11 years of experience in the industry. Having worked many seasons backstage at London fashion week with some of the industries highly respected makeup artists, Sarah has learnt makeup is about enhancing a women’s features not covering and applies this philosophy to every client. Having worked for a premium brand, M.A.C Cosmetics for 10 years, Annabella is now freelance based in Clifton, Bristol working throughout Bristol, Bath and the South West. She is renowned for her diverse work but delights in enhancing a woman’s natural beauty. Creating a beautiful polished look bespoke to her clients needs. As a specialist in wedding makeup Annabella recognises the importance of making a bride look and feel fabulous. After all, a wedding day is one of the most important days of a woman’s life..